April 11, 2012 / Bali Tours & Travels / Comments Off on What Makes Bali Unique? The Balinese people represent only 2 percent of the total Indonesian population, yet they differ from the rest of Indonesia in many ways. Language, dress, songs, stories, food, and the calendar are uniquely Balinese. The most significant difference is their religious beliefs. Approximately 87 percent of the Indonesian population is Muslim, although almost all Balinese adhere to the Balinese-Hindu religion. Through their religion, people partake in many different and elaborate ceremonies during their lifetimes. These different ceremonies mark a person’s journey through life with colour and celebration. Balinese villages are uniquely set up and community and family are very important. Everyone within a village works towards the good of the community. Bali’s unique cultures is often expressed through its traditional arts industry. The influences of other cultures and the population’s strong links to the past are all expressed in their art forms. This industry has grown as a result of toursim in the area. Out of all the Indonesian islands, Bali has become one of the most popular destinations. Bali reflects to the world an island of tranquillity, beauty, culture and relaxation. Bali also has some of the greatest rice farmers in the world. Their produce has become well known across the globe and their skills in producing quality rice surpass many other rice-growing areas. Bali is different from the rest of Indonesia because of the religion that it follows. The majority of people in Indonesia are Muslim, but most people in Bali follow Balinese-Hinduism. Many religions set time aside in daily lives for religious rituals; Muslims, for example, pray five times a day. Balinese-Hindus, however, organise their whole lives around the practise of their religion. Every aspect of their lives involves some sort of prayer, worship or offering to the gods. The Balinese are famous for their bright and richly cultural ceremonies. The Balinese culture celebrates many occasions during a person’s life. From birth to death, these ceremonies are always filled with joy, food, and prayer to their gods. Birth rituals, marriage ceremonies and cremations are just some of the ceremonies every Balinese person will experience throughout their life to represent different phases of their time on Earth. Tooth-filing ceremonies are also common throughout July and August in Bali. In these ceremonies, teenagers have their teeth filed to mark their journey into adulthood. The cremation ceremony is the most elaborate and costly in the Balinese culture. There are many rituals associated with this occasion and it is of great importance. Balinese people believe that if a spirit does not have a proper cremation then it will haunt the Earth and the living (refer to Topic Four: Traditional Culture for more information on the cremation ceremony and other ceremonies). Community life in Bali is highly organised, and each family is part of a banjar. Banjars are groups of between 50-200 Balinese families who share common beliefs, areas and goals. Banjars are self-governing community groups that organise and look after the families in their local district. They are run by a banjar head, who is supported by the male heads of each of the families. Together they look after the local irrigation, arrange marriages, care for the needy and maintain their community. Banjars are strong communities of people who work and socialise together in a harmonious atmosphere. Everyone in a banjar has a responsibility, and people always have someone to help them (refer to Topic Three- Village Life for more information about banjars). 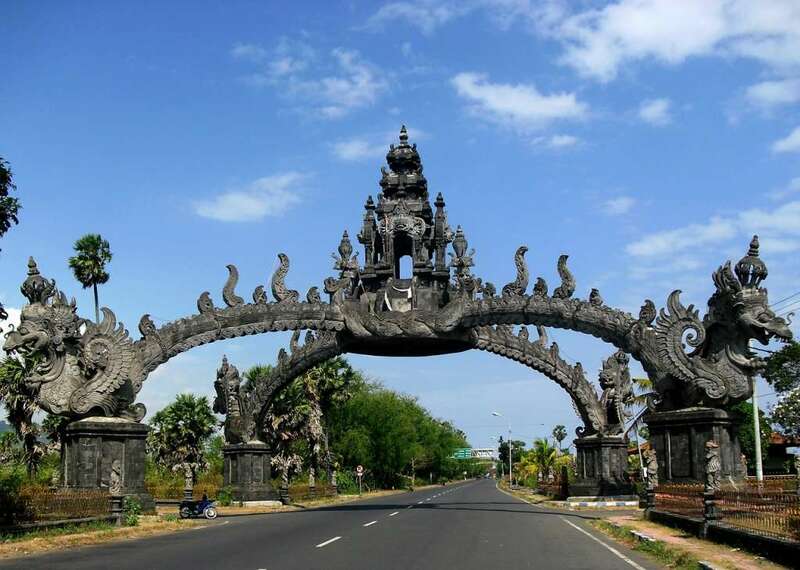 The arts in Bali can be traced back through Balinese history. Art has mostly been used to represent the stories of the land and the beliefs of the people. With the influences of other countries, Balinese art has developed to incorporate the new influences with the old ones. This has resulted in a unique art form that truly reflects Bali and its culture. This unique art form is popular with tourists. This popularity is reflected in the island’s growing arts and crafts trade industry. The huge increase in tourism to the area in recent years has reinforced the fact that Bali is a unique place geographically, culturally and religiously. Bali’s culture, scenery and beaches attract more tourists than any other Indonesian island.